Smith & Co. Consignment in Kernersville first opened its doors on April 10th, 2015. However, the plans for the store had been in the works for years by hometown native and shop owner, Lisa Smith. Throughout her life, Smith has always loved consignment stores and consignment shopping. While staying at home to watch her four children grow up, she studied and researched running a consignment shop, so when the time was right, she could make her dream come true. “My husband, Tim, and I have enjoyed antiques throughout our almost 25-year marriage and have wanted to do something together for ourselves. One day, the idea that I could open a consignment shop just bubbled up within me and I felt it in my heart. At that time, I was happy being a stay-at-home mom with our four small children. Since I didn’t want to miss them growing up, I spent the next eight years dreaming of the shop, studying on how to run a business, shopping in all of the consignment shops I could find, and paying attention to who was winning and who wasn’t. In addition, I took notes on the shops’ operation and treatment of customers and consignors. I did as much as I could do to prepare myself for this endeavor,” said Smith. According to Smith, her research also included reading books and talking to other business owners and taking two online accounting classes. She states the experience was the scariest thing she has ever done, but she wanted at least to give it a try. This unknown adventure ended up succeeding and quickly became a well-known consignment store in the heart of Kernersville. “We have received a very warm welcome from the immediate community, as well as surrounding communities. I have many returning customers who seem to love the shop. In fact, one lady, after making a purchase, took a deep breath and said, ‘I just want to get a cup of coffee and stay for a while.’ Of course, I told her she was welcome to do that. That response is exactly how I want all of my customers to feel—very relaxed while they enjoy shopping,” said Smith. Smith and her employees, Ruth and Robyn, share the common goal of providing a trustworthy business for people to sell their items, make extra money, and have a pleasant and comfortable shopping environment. The store currently has over 800 consigners, with the number growing daily. The consignors reside in places as far east as Burlington and west as Lewisville. If you’re interested in consigning for Smith & Co. Consignment, all you need to do is schedule an appointment by calling the shop. Times to bring in your items are during normal business hours Tuesdays through Fridays. There are certain requirements that items brought in must follow and can be found on the store’s website, www.smithandcompanyconsignment.com. 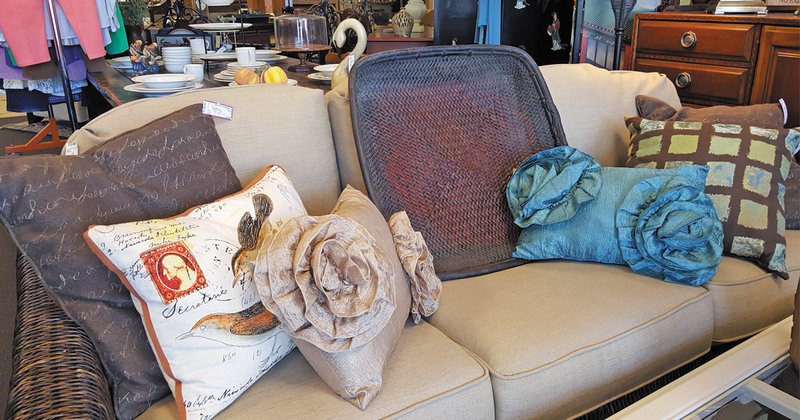 “For consignment items, we are always in the market for good-condition furniture, women’s and men’s quality clothing and accessories in current styles, as well as home décor. Consignors earn 40% of the selling price for clothing, accessories, and home décor. Sixty percent is earned for furniture, if you bring it to the shop. If needed, we can pick up furniture and you’ll earn usually 50%,” said Smith. As for future plans for Smith & Co. Consignment, Smith hopes to continue being busy. She is looking forward to more people discovering them as the development in the Union Cross area blooms. No matter where the future takes her, Smith knows she’ll always have her family’s support. “On paper, I’m the sole owner, but what is mine is also my family’s. Without their tremendous encouragement and support, I would not have been able to do any of this. Tim and my brother, Darrell Boyles, paint many of the furniture pieces in the shop and do an excellent job. I didn’t realize Tim was a woodworking handyman until we opened the shop. He made the sign behind our front counter, which we get many compliments on. Darrell also assists me with the business aspect of things. 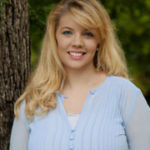 In addition, my sister, Laura Bellamy, has been a huge support in getting the store up and running. Lastly, my children, who range from 14 to 21 years of age, help with various business tasks,” said Smith. Along with her family, Smith knows Smith & Co. Consignment wouldn’t be here if it wasn’t for a few other people – her consignors, shoppers, and God. “I will be forever grateful, and above all else I thank my God for all of His many blessings in my heart and life. He is my all and my constant and I trust Him to carry me through each day. I believe I’m in this business for bigger reasons than just consigning and selling. God brings people into our lives for a reason, and I have heard stories that have been nothing short of amazing. I have laughed and cried with complete strangers and felt that God sent me those people so we could help each other at just the precise time. What a blessing,” said Smith. Smith & Co. Consignment is located at 1515 Union Cross Road in Kernersville. Call (336) 497 – 5290 or visit online at www.smithandcompanyconsignment.com. Be sure to like them on Facebook.